The Charles E. Bessey Nursery produces over two million seedlings every year and is the oldest federal seedling nursery in the nation. Interested in a Nursery Tour? 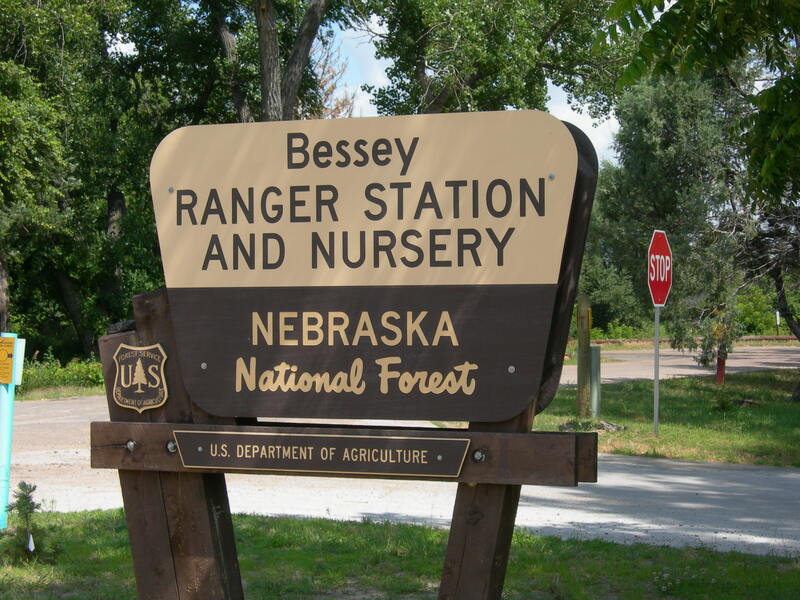 The area’s sandy loam, acidic to neutral soil, along with plentiful water means the Bessey Nursery is a perfect location for a federal seedling nursery. The seedlings grown here are used for reforestation following fire and insect infestations, wildlife/habitat plantings, wind breaks, conservation plantings, as well as for general planting. 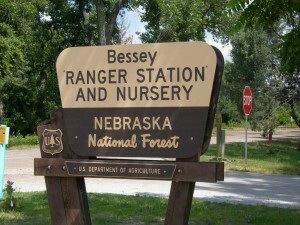 It is also home of the seed bank for forests in the Rocky Mountain Region. Cone collected from the Forest Service districts are sent to the Nursery to extract the seed and store until needed. 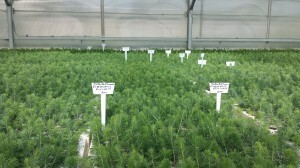 During the Spring and Fall, the Nursery is in full production; growing, packing and shipping hundreds of thousands of seedlings to the Forest Service, Bureau of Land Management, conservation districts, and other government agencies. Bareroot stock is available through your local NRD, Natural Resource District. According to Gilbert, in addition the Hayman fire site, another 136,000 container seedlings were shipped to the Pike San Isabel National Forest. In total almost 2.3 million seedlings were shipped for spring planting to forests in the Rocky Mountain Region and State Agencies including 223,000 to the San Juan National Forest, 160,000 to the Black Hills National Forest; 45,000 to the Nebraska National Forest; 50,000 to the Kansas Forest Service; 15,000 to the Arapaho Roosevelt National Forest; 48,000 to the Grand Mesa, Umcompahgre National Forest; 85,000 to the White River National Forest; 1,000,000 to the Natural Resource Districts of Nebraska, 300,000 to Conservation Districts in South Dakota and North Dakota and large trees to the Memorial Grove near Monument, Colorado.